Alright, so I’m just going to say it: the best thing about Silk Almond Milk is the fact that it’s not soy milk. Yeah, I know, vegetarians hate me for the rest of my life, I don’t care. I’m still sticking by that statement. 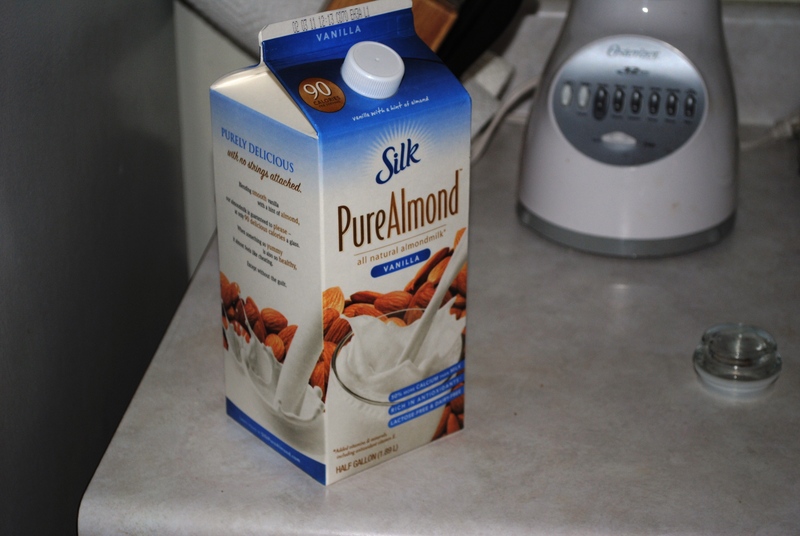 If you don’t like soy milk, almond milk by Silk is the one for you! I used it today for the first time, in my cereal, and it’s delicious! Don’t be shocked about it’s thickness when it comes out of the container, it scared me at first but it’s not that thick once it sits for a second. Also, don’t be surprised by a nutty undertone in your cereal. I eat Shredded Wheat so I thought it fit quite well with the cereal. I wouldn’t necessarily recommend cooking savory food with it – I haven’t tried it, but to me it’s a bit too sweet for that. I also would have to say watch your portions with this one, because the normal amount of cow milk that I would’ve used was nowhere near as much as I ate with the almond milk. It’s too sweet to have a huge bowl, so I actually felt fuller quicker. I’m starting to think PETA has this whole ‘vegetarian diet: way to lose weight’ thing down!